Again, I have no dog in this fight. I have never bought anything from ksouth or their affiliates but I can certainly tell you there are an awful lot of threads that start, that question the authenticity of their stuff. But every thread ends with "well it's Ksouth so their stuff is, without a doubt legit". Like the above post, if they're shady enough to shill bid then why would you trust them outright with their authenticity? After reading past complaints about them, I'm guessing they sell a lot of real stuff with some factory seconds of some sort mixed in. They have way too many questionable cosmetic flaws in his clubs if read past posts. I bought the 737 iron set from KSouth9. I read quite a few threads beforehand about the seller and researched the club model. Went and hit the set at the local PGA Superstore. Decided to pull the trigger. Ordered the 737V 5-10 (love the '10' instead of PW stamping) with Modus 3 120s Stiff. Originally projected 10 days for delivery. Set arrived in 5 business days. Unfortunately wrong set. (737Vn). Understandable mistake, very small sticker on outside of box, easy to get wrong. No worries. I contact them. They respond within a day or two and immediately ship out a correct set with a return slip. 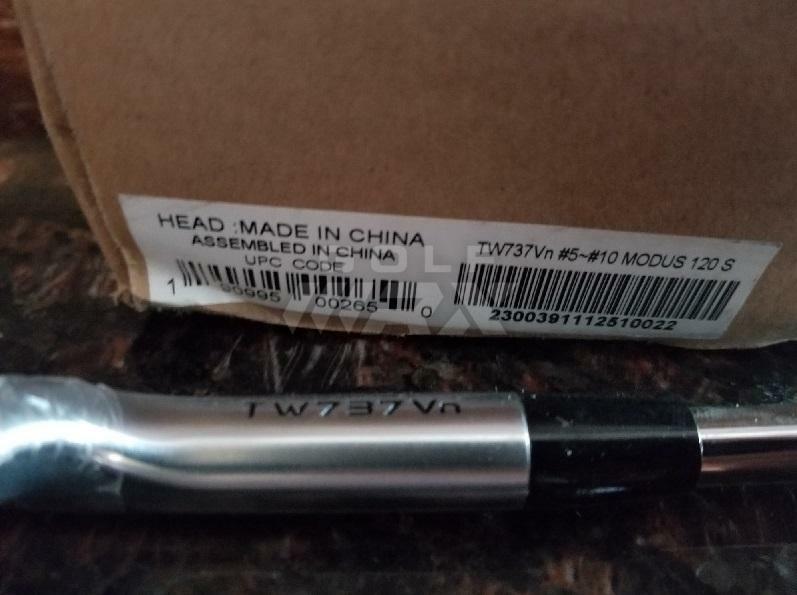 5 business days, the 2nd (wrong) set of 737Vn's show up. I write back again. Next day someone responds profusely apologizing. 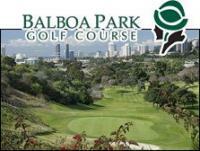 They Next-Day-Air the correct set including the 4iron and it arrives the next morning by 10am. Overall it was a bummer to get the wrong set repeatedly. But i ended up getting the 4iron to make it right and I'm happy. The irons are gorgeous in my opinion and I'm hitting them beautifully. 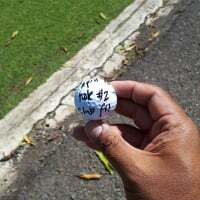 A little extra distance but mostly higher shots that land softer. Anyways, I now have two (2) sets of 737Vn for sale.... just kidding. I sent them back like a good eBay buyer would! Always good to hear that you got the correct set and they were willing to stand behind their sell and make it right. I need the GI style so the 737P looks like it could be a good option for me. Need to hit them first. 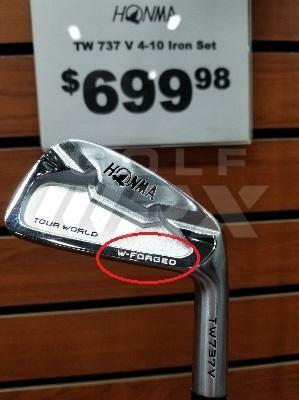 Honma prices are too low...something doesnt make sense. I'll pay the 85 per iron from an authorized seller. The irons are worth what they're selling for, the free market has determined $85 a club is way more than most are willing to pay. Honma means nothing to 99% of US golfers, zero name recognition. Not sure if everybody aware that Honma is quitting from PGASS. Maybe PGASS kick Honma out. Now PGASS is selling Honma 737 driver at $190, and their FW at $125. I don’t mind ksouth or tee2green one bit. I’ve many satisfactory transactions with them. I think the shill bid thing is a bit annoying, as is the practice of cancelling your transaction if the price is too cheap. When all’s said and done, I’m still usually getting a 60 percent discount from retail, shill bids and all. I’ll yake that and run with it any day. 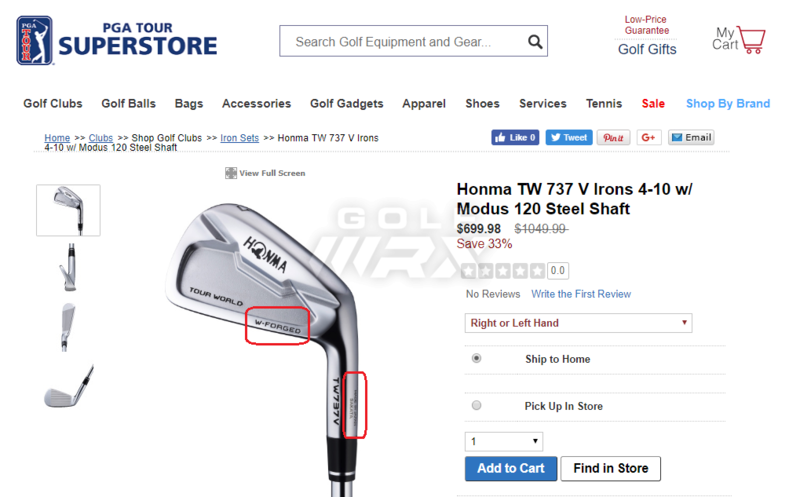 Talking with another member about the 737 irons and we came across a discrepancy with the Superstore. The sets from KSouth9 are from china. It says it all over the box. (see pic 1) There's other indicators. 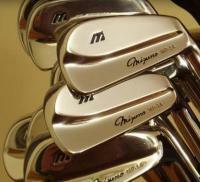 The Japan set will have etching on the hosel as well as black paint fill on the "W forged" (See pic 2). However the PGA Superstore is showing you the Japan set online and selling the china made set in store with white paintfill and missing the japan etching. (see pic 3). Just a heads up in case you were considering ordering the Japan set from PGA for $699. didn't know 737 had MIJ sets. Could it be that only V is made in Japan? I just bought a set of 727Vn 4-pw with Vizard IB 95s. I bought them in Festival Golf, a reputable 2nd hand store in Tokyo. It is all white paintfill, even the numbers. When I asked the shop attendant why the all white paintfill he said custom order. I don't know if that is true, but the price was good for a pristine set with heavish graphite. Let me check when I get home if it has the Made in Japan engraving. no idea, the set i bought was the V and they sent me Vn set (pic of box) twice before getting it right. My V set doesn't have the etching though either. I personally don't care if they're MIJ or not but I can imagine another golfer who does would expect the Japan set if they bought the online PGA SS set. So just putting the info out there. In no way do I regret my purchase. It's a beautiful series. The paintfill is about where Honma made the heads, not the legitimacy of KSouth9. I fully agree with you though about KSouth9. Buy with confidence. Other than shill bidding and canceling orders that go too cheap, I would agree. He’s not buying nor making any counterfeits. That’s good. Since it seems there is a run of Chins heads for the irons and could be an issue for some, what about woods and hybrids. Any issues on those? I was thinking of picking up a hybrid. 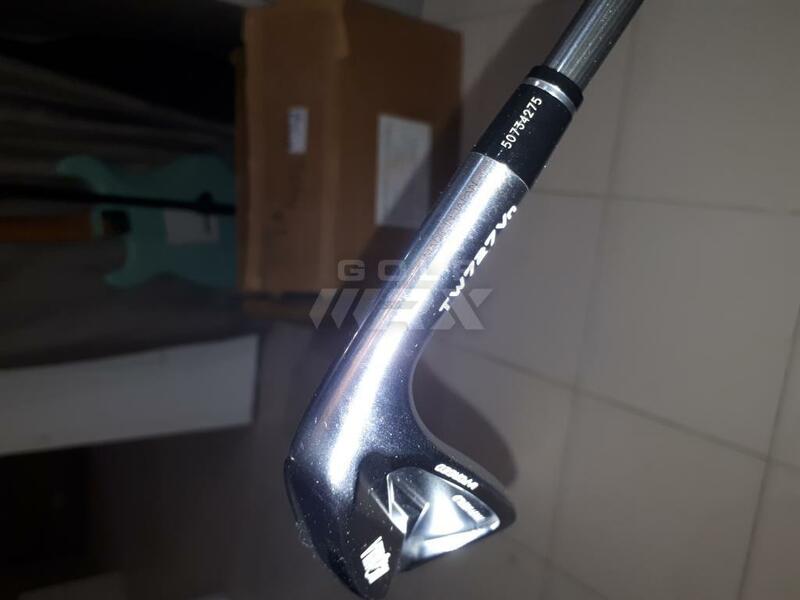 Since it seems there is a run of Chinese heads for the irons and could be an issue for some, what about woods and hybrids. I've bid so many times on his auctions only to get shill bidded at the last moments continuously by buyers with 0-9 feedback. If the irons don't go for at least 280 they won't sell them. If your bored you can go look at all of their listings and you will see the same bids on many of them. From what I have read some of the tour world line is made in China. The beres lines are still made in Japan. This change was made after the went bankrupt a while back and got bought by a Chinese company. Iâ€™ll have to see if I can still find the article on this. 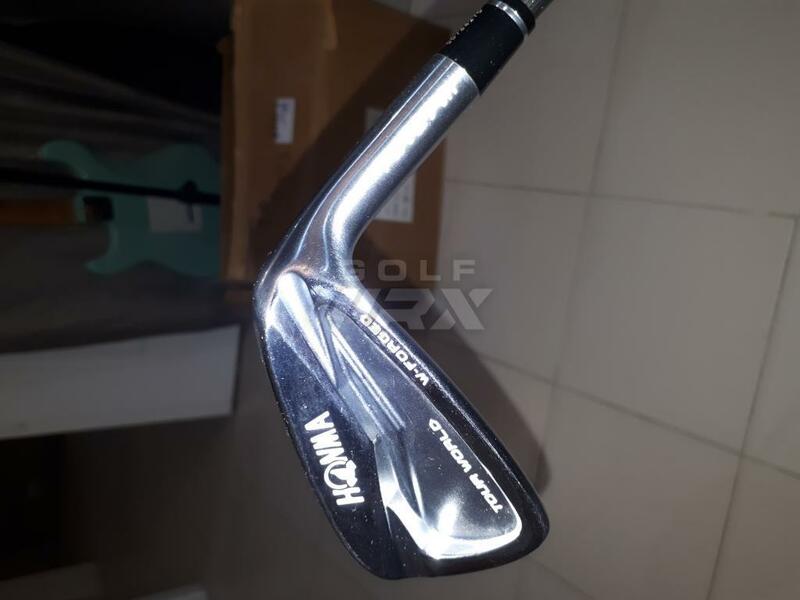 If you're complaining of $280 honma iron sets, then you are a thief! I bought one for $270 once then usually in $340 range. Also I went to roger dunn and it was white filling but still China made. 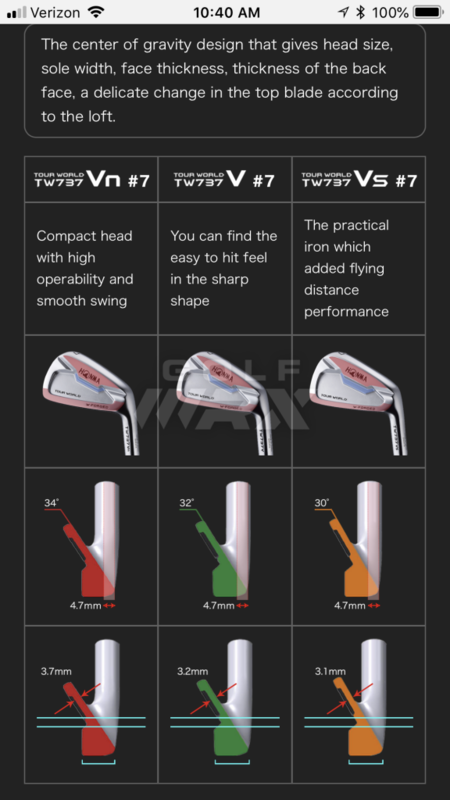 Not to change direction here, but can anyone give me a Cliff’s notes review on the differences between the different 737 irons? Check about halfway down this page and it highlights the differences within the model range. You can also click on each variation on the lefthand side of the page and "specs" to get more of the numbers you are looking for. As far as forgiveness vs workability, VN should be most workable, VS most forgiving, and V in the middle.